We've teamed up with local charity Kamelia Kids. We have teamed up with KAMELIA KIDS (registered charity no. 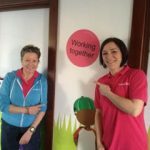 1154939) to help raise awareness of the fantastic work they are doing with pre-school children that have a wide range of complex needs (long term medical and life limiting conditions) and those with social, educational and additional requirements. 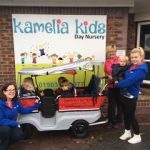 If you want to find out more about Kamelia Kids and keep up to date with their activities feel free to visit their website and follow their Facebook page. Kamelia Kids are celebrating their 40th anniversary on Saturday 30th of June 2018 with their "MAD HATS TEA PARTY". To honour the occasion, we are helping to raise funds for their latest campaign for a new outside play area. 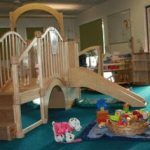 The focus of the project is to stimulate imagination and encourage healthy mental and physical development by providing a fun & safe play environment. DURING THE ENTIRE MONTH OF JUNE, ARROW TAXI WILL BE DONATING A PENNY FOR EVERY SINGLE BOOKING THEY RECEIVE, GUARANTEEING AT LEAST £500!! LISTEN FOR OUR RADIO ADVERTS TO FIND OUT MORE!! 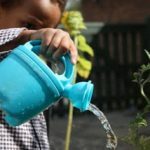 If you would like to help fund raise or want to know more about their campaign for an outside play area, feel free to visit their fundraising page. If you are looking for taxis to go to and from Worthing and the surrounding areas, we can help you with all your transport needs. Get The Arrow Taxi App! Download the Arrow Taxi mobile application to book a car in seconds! Available on both the App Store and Google Play.